Junior Lazarou aka DJ Mitchell from Dunfermline, Scotland is a full on techno head and a devoted reggae and ska disciple. Junior experienced alternative music from a young age, listening to krautrock, acid rock, psychedelia, reggae & dub which all made a lasting impression on him. Punk & 2 Tone also engulfed him as it was fast and he could jump around to it. Politically he was inspired and learned a lot from anarcho-punk bands like C.R.A.S.S., Conflict and Subhumans which to this day he still lives his life by the ethics and morals drawn from them. In 1989 he stumbled (literally) into an after-hours rave at Glastonbury, instantly transforming him into a techno addict. From that moment he wanted to know everything about the music and how to DJ. The buying of gear ensued along with loads of acid, house & Belgian rave records. By 1990 he was playing regularly at clubs, raves & outdoor parties, banging out everything from techno, electro and house to hard jacking European shiz, all inspired by his new found techno heroes including Jeff Mills, DJ Funk and Deeon. Junior’s held many residencies in nearly every city in Scotland at clubs including Digital, Froot Sound Systems and Booty Shake, playing mainly techno but also many different flavours of electronica and beyond. His monthly residency at Glasgow club Shut It ‘N’ Skank sees him playing out his other musical love of reggae, dub and ska. He’s also played at many clubs and festivals over the years including Unseen, Laptop Lounge, Pillbox, Pedigree Skum, Aurorafest and Audio Soup. He currently works at the Sub Station Studio for Primal Screams sound engineer and has previously worked on releases by Cian Ciaran of the Super Furry Animals and for metal giants Nazareth. 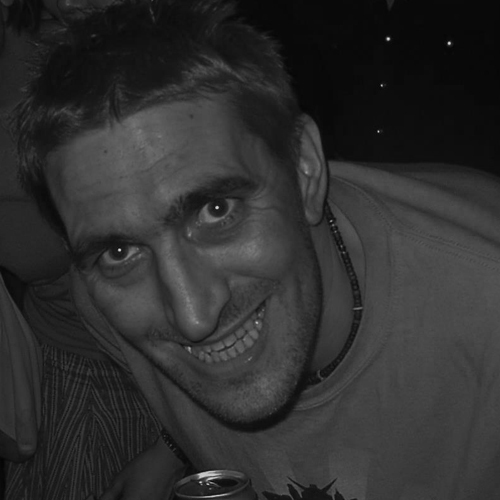 Despite being slightly deaf in one ear from constant loud music and having a wrecked spine from carrying far too many heavy record boxes and sound systems, he intends to keep on playing free parties and festivals, and remaining a cool headed resident at Shut It ‘N’ Skank ………… Never give up, never surrender.